I’m fascinated (and sometimes appalled) by the way news gets made. How does the press choose what to cover? What kinds of bias come into play in choosing what to cover and how to cover it? How do reporters stay objective? Or do they? Should they? And what influence do the news media actually have? 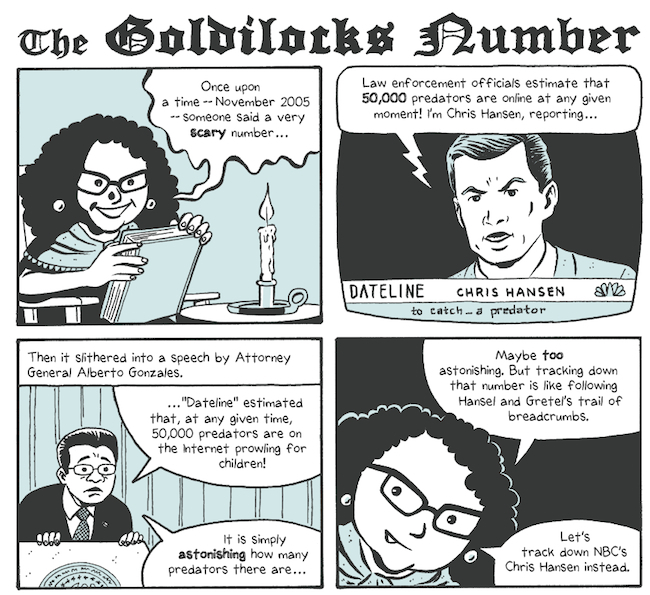 In this nonfiction comic, Brooke Gladstone, host of the NPR show On the Media, considers all of these questions and lots more. She looks at how the news media have evolved, what they’ve done well, and where they’ve fallen short. Another particularly good section in the book was the one on bias in which Gladstone explains that political bias is not the bias we need to worry about. Since 1980, coverage of all presidents, Democrat or Republican, has skewed to the negative. The more troubling biases are those which involve the media choosing to focus on stories that will bring them more viewers or readers and therefore more money. Or else they’ll be biased toward stories with a strong visual component or that have a narrative structure. Even an ostensibly good bias, the bias toward fairness, has a dark side. Sometimes in the interest of fairness, the media will give equal time to positions that are obviously wrong-headed, such as the attacks on John Kerry’s military record that continued to receive free coverage even after they’d been thoroughly disproved. This information wasn’t entirely new to me, but I liked the way Gladstone navigated these issues. Some of you may be wondering about the comic format of the book. I don’t think there was anything about this material that demanded a sequential art format, but it works. Gladstone says that she thought writing in bubbles would be more like the radio, which she already writes for. And just like on her radio show, she addresses the audience directly; it’s just that here we see her cartoon self instead of hearing her voice. The area where I thought the comic format worked especially well was in the depiction of iconic news images, which artist John Neufeld could tweak to emphasize specific points. Plus, the comic format is engaging in a different way from text. 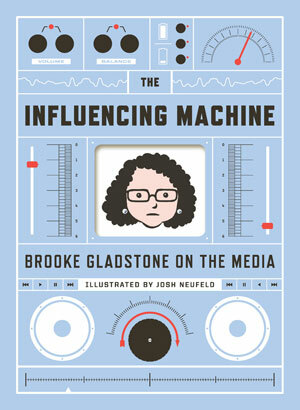 Gladstone uses images to convey big ideas in just a glance that might take several paragraphs or pages to get across, such as when she shows how NPR reporter Josh Burdett becoming increasingly frustrated with his assignment as an embedded reporter during the war in Iraq. I enjoyed this book quite a lot, and I think anyone interested in the news and the news media would find it worth a look. The ideas didn’t strike me as especially ground-breaking, but there’s a lot of value in a book that brings important ideas like these together in an accessible and engaging way. It was absolutely worth the evening I spent reading it. I heard about this on Ana’s blog and both her review and yours make me definitely want me to pick up this book. I especially like the point about the bias toward fairness. The fairness bias was such an interesting point. We say we want the media to be fair, which often does mean representing both sides of an issue, but are there “sides” that shouldn’t get an airing at all? I think probably the sides of an argument or whatever that shouldn’t be aired may still be mentioned and then have cogent reasons given for why it can be soundly dismissed–I mean something, for example, like the so-called “logic” behind the white supremicist movement. The mention is enough to identify it as there, and not many reasons need be given for why it is roundly and soundly dismissed as absurd, ridiculous, or totally offensive, since its own standards speak of it themselves. In a lot of cases, that’s probably the right way to go.